Posted in Beauty, DIY	by C.
I. Love. Candles. 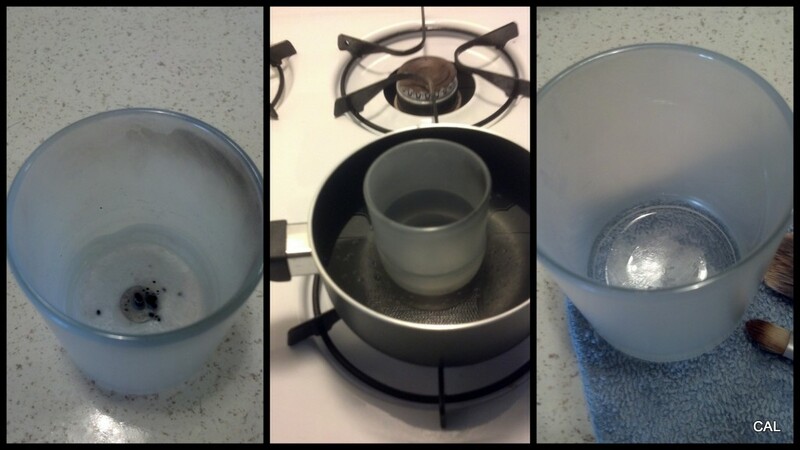 Trouble is when I’m done burning them, I feel a bit guilty but end up simply tossing the glass jar in the trash. If there’s anything I’ve learned from my Pinterest addiction, it’s that there’s usually a great way to re-purpose something and get crafty with its use, especially when it comes to glass. 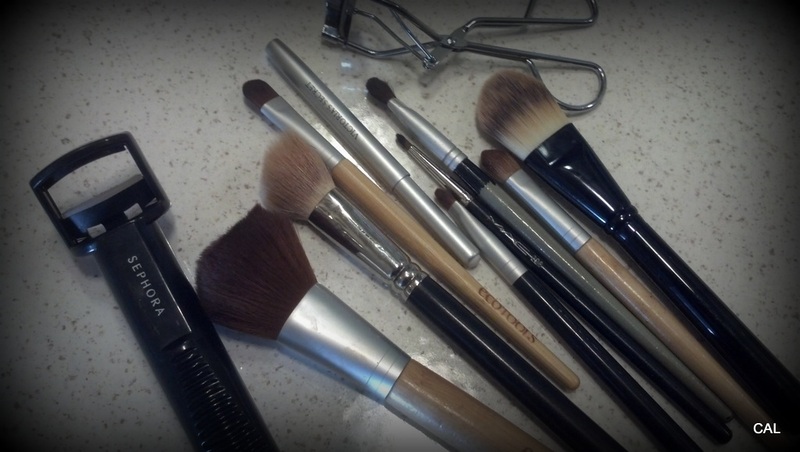 I’ve been looking for a way to revamp my bathroom counter and thought the idea of putting my make-up brushes out in a nice presentation would do it and I’d get to clean out my make-up drawer some. Win, win. Why go out and buy a brush holder, when I can take a $4.00 candle jar, clean it out, and reuse it!?! 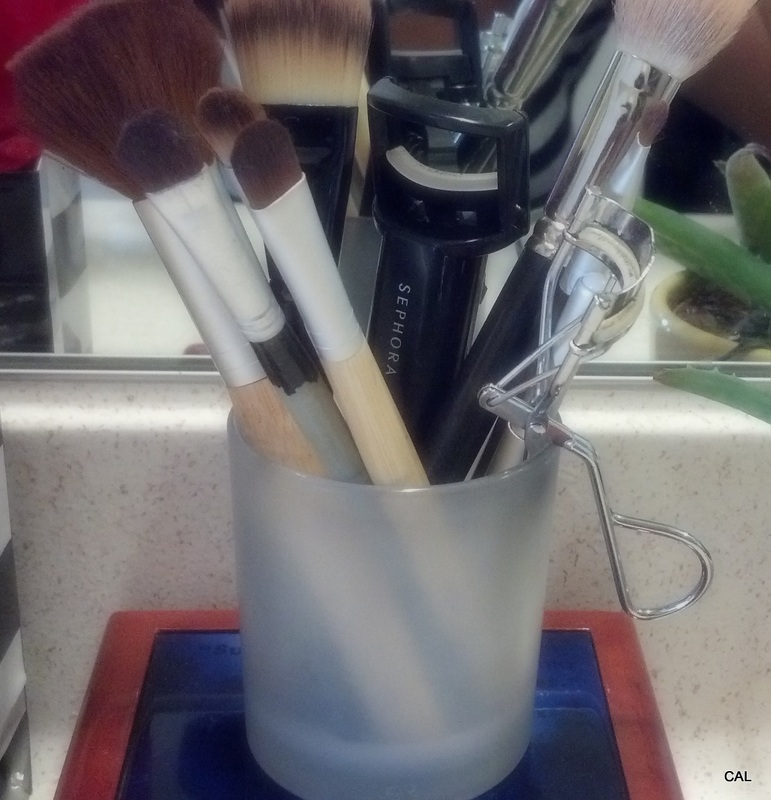 Operation make-up brush holder was under way and done within minutes.